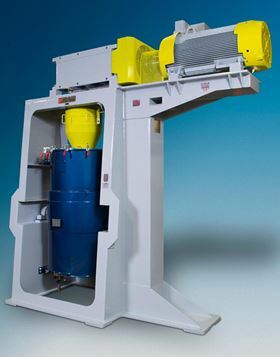 The dry grinding SDL250 machine can be used for recycling fiber material. Union Process, which makes particle size reduction and dispersing equipment, has developed a dry grinding SDL250 machine (Attritor) that can be used for recycling fiber material. ‘Our customer is thrilled to be able to recycle material that they had previously been discarding as scrap,’ he added. The stainless steel mill features an elongated design and a flanged inlet for screwfeeding the material. It has a 250 HP TEFC motor suitable for a variable frequency drive (VFD). The mill includes a G-series reducer comprised of a heavy-duty right angle gear box with cooling fan and hardened tool steel agitator arms. Product discharge is achieved via two metering valves for material discharge flow control. This story uses material from Union Process, with editorial changes made by Materials Today. The views expressed in this article do not necessarily represent those of Elsevier.